Isn't it strange where you draw inspiration from. it's funny I've spend my whole life hinding, being the loaner scared to make friends. The clumsy, outcast who would rather stick her head in a sketchbook then socializing. The truth is, I'm a really anti-social person, I never meant to be this way, it just happened. Infact I hate being this person, my anxiety always gets the better of me. I always looked for ways to get over things, to find a coping mechanism. It is actually a lot harder than you think. Blogging made me grow as a person, but I'm not so sure if I have really found my way. My home is chaotic. My parenting skills are frowned apron by friends and family. Nothing in my life is picture perfect and I love it that way! There is so much pressure to have the most perfect blog, a clean perfect home. I recently realised I'm constantly looking for ways to better my life, but why am I? Why can I not just be happy with myself. I'm literally letting people influence my life and my opinions. 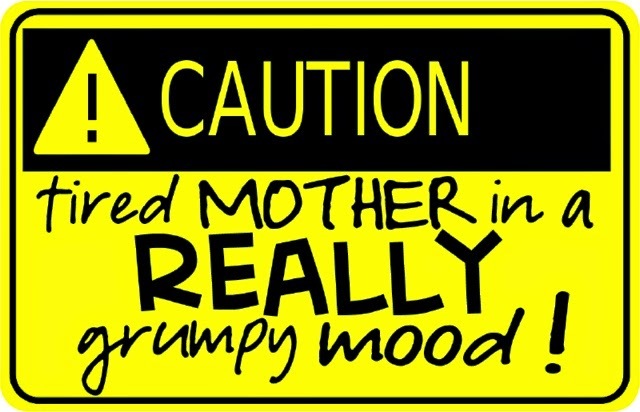 Today I'm having a mummy meltdown day! Emily has decided sleep is for the weak, and the lamp shade is a very interesting thing to talk to. She also decided that our bed is now hers. Maybe I shot myself in the foot a little because she was such a amazing sleeper! Then she got a stomach bug that lasted about 2 weeks. During these two weeks she was clingy, upset, cried constantly and I pretty much caved in. If she wanted cuddles, she got them. I swear one night I actually put her in her cot then picked her up about 20 times! Then it started keeping Sam awake. He had work and after the 3rd night of controlled crying, a grumpy daddy who looked like a zombie and was still going to work. I gave in, let her in our bed, just to settle her, then once she was asleep I moved her, however everytime I put her down she woke. Now she seems to do this every night! It takes me till about midnight to get her to sleep then she's up at 4. Goodbye are the days she slept 11 till 8. Obviously my mother had a massive opinion, I'm spoiling her. How can you spoil a child with affection!? I would rather Emily be cuddly and clingy, then distant and unhappy. I want her to know she can have cuddles whenever she likes. During my childhood I can't remember any cuddles with my parents, or duvet and movie days. That bothers me a little. We do not have a good relationship, and I don't want that for me and Emily. She is my best friend and the best thing that has ever happened to me. I'm clingy to her, I get anxious whenever I leave the room. I can't leave her with other people and I don't think I will be ready to anytime soon. My mum pressuring me into leaving Emily really isn't helping. She's making my anxiety worse. In turn im becoming depressed about leaving my daughter which is only a thought in my head! How do I politely tell her to back off? Some advise would be much appreciated!